The 5th annual NZ EV Tour is coming to Palmerston North on Thursday 18th April. There will be a welcome to the city by the Mayor, Grant Smith, and the cars will be on display or offering free ‘rides’ or ‘drives’ from 12pm-3pm. There will be a wide range of EVs (electric vehicles) attending, including many of the latest models- and this is a great opportunity to see them, have a ‘ride’ or a ‘drive’, and find out more. EVs are very economical, clean, quiet, comfortable, and very fast. They are cheap to charge, environmentally-friendly, and air-pollution and climate-change ‘emissions’-free, making them hugely important for the health and welfare of both people and the planet. There are a huge range of options available to choose from- and as they have approximately 500 moving parts rather than the 5,000 or so in an ICE (internal combustion engine) vehicle there is little to go wrong. There will be live music- with “The Sue Pugmire Jazz Combo” playing at this free, family-friendly event. 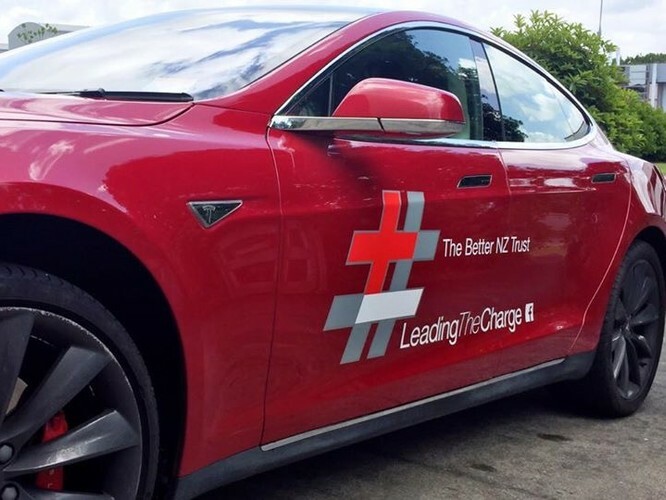 Come along to the Palmerston North Square - Events Quadrant, near Bethany’s - for a once-a-year-only opportunity to meet the people and the cars that are #LeadingTheCharge into a better, cleaner and safer future.